If you analyze the chart for Steem there are a lot of correlations between it's current pattern and a standard Head and Shoulders (Reversal). The rough estimate for the reversal is about $0.25 cents so I am expecting one more sell-off for Steem before it consolidates. Let me know in the comments if you think Steem will go that low, and if you think the chart for Steem fits a Head and Shoulders (Reversal). Will be interesting to see if the same price increase occurs in Q3 of a year like it has in past years. Not sure why this happens, but will be interesting to watch it play out. Very Very Good news for steem and for all loving steemians. excellent excellent analysis. very shortly we see big reversal movement of steem. long live steem. 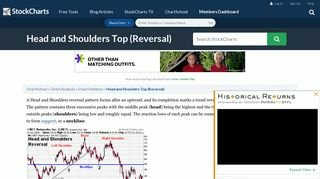 I never knew the term Head and Shoulders pattern until this. A Head & Shoulders reversal is a common occurence when a top forms so I suspect that you haven't read that much about chart patterns. P.S. You can also Google it or read about it on Wikipedia. You can also click on the website I linked too.